Keep it legal with the Emerson Knives CQC-14-BT Snubby Tactical Folding Knife available at KnifeArt. Some states have stringent knife laws limiting the length of the blade. 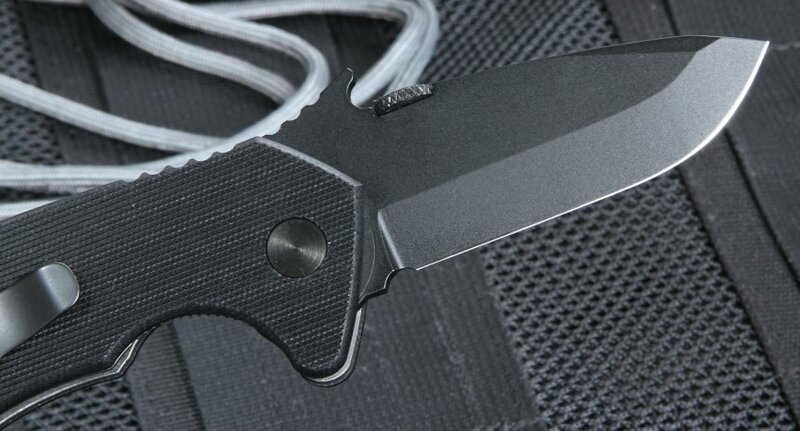 But the Emerson CQC-14-BT Snubby earns its name with a blade that is just 2.7 inches long and legal everywhere. The short blade is housed in a full-size handle measuring just shy of 5 inches, so the knife remains easy to hold and manipulate with a full size grip despite its somewhat undersized (but perfectly legal in most states) blade made of 154 CM stainless steel. The knife has a titanium liner lock and black G-10 epoxy and glass laminate handles. 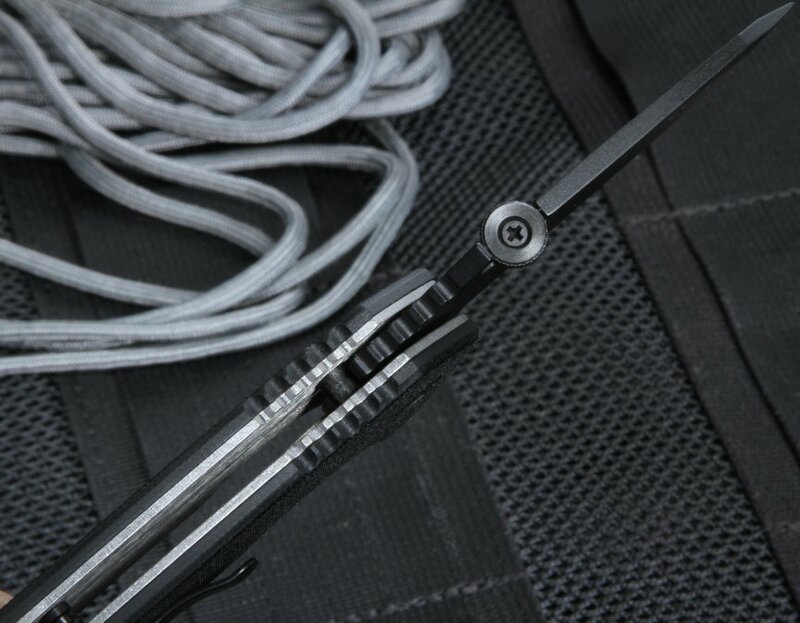 Emerson's thumb wheel for one-handed opening is also standard on the CQC-14-BTS, as is the patented "Wave" feature that permits opening the knife one-handed as it is drawn from the pocket. KnifeArt has this Emerson model and will fulfill your order with free, fast shipping. 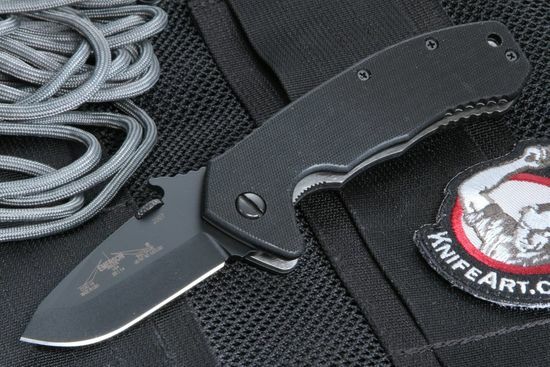 COMMENTS: Ernest Emerson is a pioneer and leader in tactical knives - both custom and production. 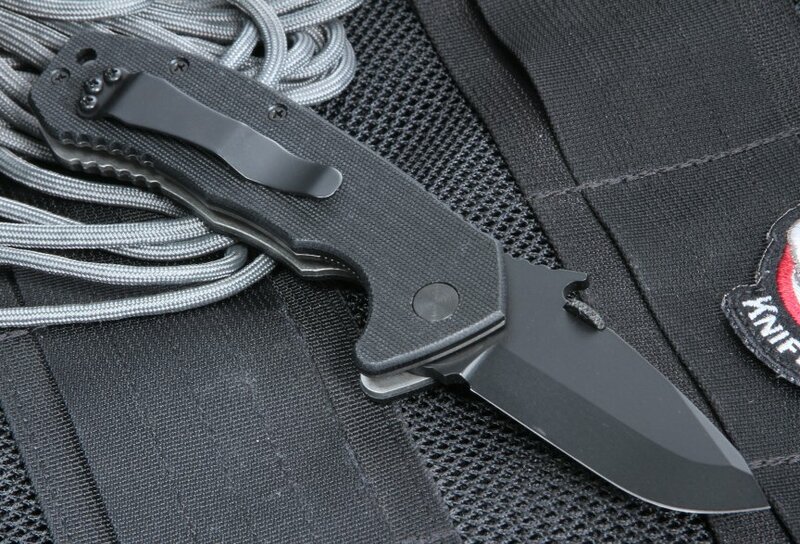 This model is called The CQC 14 BT with wave and black coated blade finish. The 154CM stainless blade has the patented wave feature. Pocket clip is mounted for blade tip up carry. Filed thumb rest on the handle and blade spine for a secure grip. Thumb disc mounted on the blade spine for easy right and left hand opening. The CQC 14 BT has a drop point blade with a swedge on the tip. This Emerson Prestige Line knife features striking, coarse, black G-10 handles holding a dramatic black coated blade that is precisely ground on both sides, front and back, giving you a razor sharp edge. Lanyard hole in the handle. Solid liner lock design. KnifeArt.com is proud to be an authorized Emerson Prestige Line seller.